Most public trash cans are meant to contain all kinds of refuse. Recycling containers are not common in public areas, but rather, are found in residential areas and sometimes in stores. 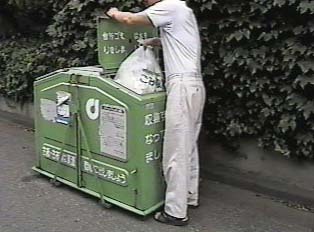 Residential housing complexes have designated trash disposal areas.